Turkey’s careful balance with Russia and differences with the West over working with Islamist forces have long been a source of frustration for other members of NATO, writes Stratfor. Stratfor is an American publisher and global intelligence company founded in 1996 in Austin, Texas, by George Friedman. Turkish President Recep Tayyip Erdo?an and Putin have been well aware that competition between their countries has been growing on multiple fronts. And until Tuesday, both took great care to avoid having that competition devolve into outright confrontation. A number of factors will drive Moscow and Ankara to try to temper the latest bout of hostilities, but neither leader will be able to avoid the uncomfortable reality that geopolitical forces are once again pulling these old rivals further apart. Turkey and Russia cannot help but step on each other’s toes. Turkey is the gatekeeper to the Mediterranean from the Black Sea through its control of the Dardanelles and the Bosporus. That means if Russia wants to send container ships, oil cargoes and warships westward, they pass through Turkey. If NATO wants to threaten the Russian underbelly from the Black Sea, Turkey has to give the green light. This is a point not lost on Putin’s Russia. As two Eurasian powers with long imperial pasts, Russia and Turkey have overlapping spheres of influence in parts of the Balkans, the Caucasus, Central Asia and the Middle East. This dynamic brought both empires to war multiple times over nearly five centuries. Not surprisingly, Turkey was profoundly uncomfortable when Russia invaded Georgia in 2008 and Crimea in 2014 to reinforce its position in the former Soviet space. Though Turkey saw an imperative to keep Russian ambitions in check, it preferred letting the United States, Poland, Romania and others take the lead. After all, Russia supplies 55% of Turkey’s natural gas needs, and Ankara was not interested in risking disruptions to that supply or to the broader Turkish-Russian trade relationship that could further strain the Turkish economy. But Russia has been getting too close for Turkey’s comfort more recently. In the Caucasus, several factors are challenging the status quo in Nagorno-Karabakh, a conflict zone that could eventually draw Russian and Turkish intervention. In the Middle East, Russia’s military intervention in Syria on the side of the Alawite government squarely challenges Turkey’s ambitions to bring Sunni power back to Syria through the toppling of President Bashar al Assad. Turkey’s downing of the Russian fighter jet shows that Ankara is now willing to act on its frustration with Russia and bear the consequences. The most immediate consequence will be felt in Syria. The preliminary steps toward a power-sharing deal are effectively stalled for now. The videos of Turkmen rebels shooting Russian pilots and attacking search and rescue missions will only reinforce Russia’s claims that the rebels Turkey, the United States and others have been sponsoring cannot be trusted and therefore do not deserve a place at the negotiating table. There were already major doubts about whether the rebel sponsors could be talked into negotiating with the Syrian government at this stage of the fight anyway. The battlefield, however, will remain just as intense. Turkey is serious about moving ahead with a plan to create a safe zone in northern Syria along the Turkish border to root out the Islamic State, keep a check on the Kurds and reinforce its rebel proxies against the al Assad government. The United States also remains committed to the fight against the Islamic State and is willing to facilitate Turkish operations in northern Syria toward that end. Russia is unlikely to back down from its operations in Syria targeting both Islamic State and rebel forces. In fact, Russia will be reinforcing its bombers with accompanying fighter jets to deter another shoot-down. The potential for further skirmishes on the Syrian battlefield cannot be ruled out. 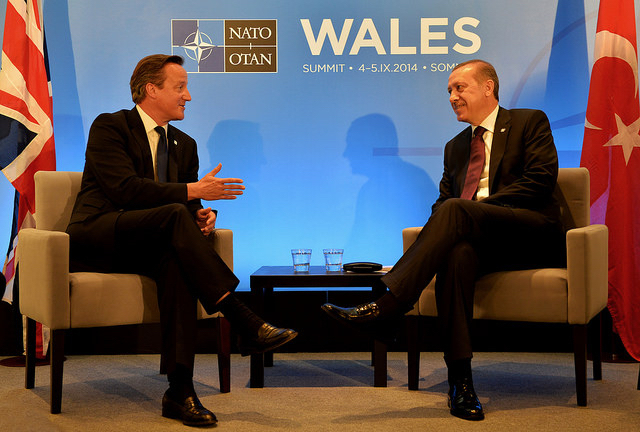 The less visible, but no less significant, consequence concerns Turkey’s relationship with NATO. Turkey’s careful balance with Russia and differences with the West over working with Islamist forces have long been a source of frustration for other members of NATO, especially given the significant role Turkey could play in counterbalancing Russia and in responding to threats such as the Islamic State. As the Islamic State threat escalated and as Russia became more involved in Syria, Turkey started drifting closer toward its NATO allies. Turkey’s recent decision to officially cancel a controversial deal to purchase a multibillion-dollar air defense system from China gave hope to NATO members that Turkey was prepared to remove some of the ambiguity from its role in the security alliance. And with Turkey’s competition with Russia now on full display following the downing of the Russian Su-24, the United States and a number of Central and Eastern European powers will see an opportunity to draw Turkey deeper into NATO. Russian officials and media have proposed retaliatory measures against Turkey, such as energy cutoffs, trade restrictions and undefined military responses. Russia certainly has the means to squeeze Turkey economically, though cutting off natural gas would also undermine Gazprom’s commercial reputation at a time when Russia is fighting to retain market share in the West. Russian military interference against Turkish operations on the Syrian battlefield is also possible, though such actions are very risky for Russia itself. So long as Russia remains in a standoff with the United States and the West at large – a situation that will not abate anytime soon – Russia will need to play it carefully with Turkey. Only now, it is dealing with a Turkey that is sitting a lot more comfortably with its NATO partners than it was just a couple of months ago. Like it or not Basshir al Assad is still the ruling sovereign government in Syria. All Turkey has done is given Russia further cause to block any geopolitical effort to remove Assad from power. Yes, Turkey can move closer to NATO but then what does that say about NATO – on one hand they are fighting the Islamic State and on the other they are approving funding for that same state via their rogue ally, doesn’t make much sense from the western public’s perspective. Now Russia has installed the S-400 missile defense system in Syria to deter anymore Turkish hostile acts against their aircraft. Putin has restrained from supplying that same missile system to the Assad government but now Turkey has given Russia the perfect opportunity to up the ante and supply Assad with missile defense. With this new power Assad could kick NATO out of Syria once and for all.